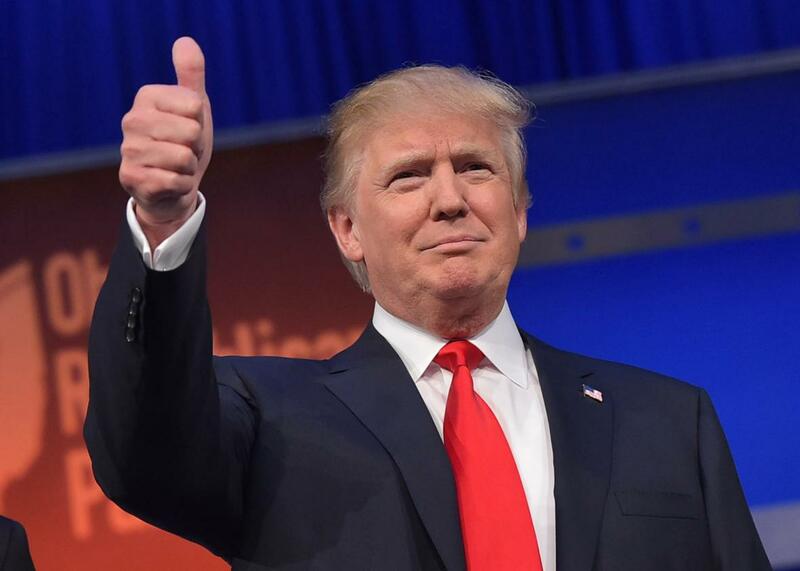 Home / Politics / United State / Republicans select Donald Trump as nominee. Republicans select Donald Trump as nominee. The Republican Party officially crowned Donald Trump as its presidential nominee on Tuesday night, offering a formal coda to a rollicking, raucous, and deeply divisive primary, and giving the billionaire businessman control over the party’s future. The vote, which officially quashed the anti-Trump movement that for months has tried but failed to stop him, was met with loud and boisterous applause and chants of “We want Trump! We want Trump! We want Trump!” at the Republican convention. The vote to nominate Trump came on the second day of the convention, as the party sought to rapidly move past a dismal beginning that has been marked more than anything else by accusations that Melania Trump plagiarized parts of a speech that Michelle Obama delivered in 2008. But the party quickly turned toward its most unifying force, which finds its strength in stopping presumptive Democratic nominee Hillary Clinton from winning. Governor Chris Christie of New Jersey focused almost all of his remarks on Clinton, saying he was using his prosecutorial background to indict her tenure as secretary of state. At one point, he blamed her for the terrorist group Boko Haram’s kidnapping of schoolgirls in Nigeria. He faulted her for the nuclear deal with Iran, for the lifting of the Cuban embargo, and for the actions of President Bashar Assad of Syria. “Is she guilty or not guilty?” he asked again and again. “Guilty!” the crowd responded each time. “Her focus group-tested persona, with no genuineness to be found, is a sham meant to obscure all the facts and leave you able to vote for her,” he said. Speaker after speaker ridiculed her judgment and her trustworthiness with lines of attack that are likely to become the central part of the Trump campaign’s case. Several speakers also brought up former president Bill Clinton’s infidelities, and faulted Hillary Clinton for not sticking up for women who brought accusations against her husband. “As first lady, you viciously attacked the character of women who were victims of sexual abuse . . . at the hands of your husband,” said Sharon Day, co-chairwoman of the Republican National Committee. One theme for the day was supposed to be the economy and helping to protect American jobs, but at times it veered to the edge of promotions for Trump’s own businesses. Kerry Woolard, the manager of the The Trump Winery and Hotel in Virginia, touted his business skills. “Donald Trump is a man of vision: he isn’t a wide-eyed dreamer, but someone who sees what others don’t,” she said. The night also offered Trump a chance to showcase his children, who many supporters point to as one of his biggest successes. He may have been married three times, they say, but his children appear successful and well-adjusted. Two of his children — son Donald Trump Jr. and daughter Tiffany — spoke and attempted to highlight a softer side to the brash business mogul. Tiffany Trump recalled his “sweet notes” on her report cards, or his comfort in times of struggle. Donald Trump Jr. gave a strong speech that interspersed criticism of Clinton with praise for his father’s personality and policy. He offered one of the most coherent cases for his father, while claiming that his father would often hang out with workers on construction sites, even pouring concrete and hanging sheetrock. The nominee also addressed the gathering briefly, via videotaped remarks shown in the convention hall. ‘‘This is a movement, but we have to go all the way,’’ the elder Trump said. A parade of party officials were slated to speak Tuesday night in an attempt to project the kind of party unity that has been illusive ever since Trump began methodically defeating his more traditional Republican rivals. The support for elected officials seemed tepid among the delegates. McConnell was booed by the crowd, and when a group of senators took the stage, the applause was light. Although Trump effectively wrapped up the nomination nearly three months ago when he won the Indiana primary and his last remaining rivals dropped out, the image of hundreds of delegates casting votes for him was historic. The party of Lincoln, the party of Reagan — and the party that just four years ago nominated Mitt Romney — is now the party of Trump. Trump received well more than the 1,237 delegate votes that he needed, winning 1,725 during a roll call vote in which each state rose and declared how their state’s delegates would be allotted. Senator Ted Cruz received 475 delegates, followed by 120 for Governor John Kasich of Ohio, 114 for Senator Marco Rubio, seven for Ben Carson, three for Jeb Bush, and two for Rand Paul. The New York delegation — from Trump’s home state — cast the votes to push Trump over the top, with his oldest son speaking for the delegation. Shortly after the elder Trump was named the presidential nominee, the party formally nominated Governor Mike Pence of Indiana as the vice presidential nominee. Pence is scheduled to deliver his acceptance speech Wednesday night, followed by Donald Trump’s prime time address Thursday. There were still protests, but they became a sideshow rather than the main event. Gordon Humphrey, a former senator from New Hampshire, sent an e-mail to two top officials in the delegation — Corey Lewandowski, the former Trump campaign manager, and state party chairwoman Jennifer Horn — telling them he was leaving in protest. “When the vote totals are announced, I will leave the convention,” he told them, designating an alternative who would stay in his place.